PDN Measurement System – Your Master Thesis Project? Home Weblog Eksamensprojekt PDN Measurement System – Your Master Thesis Project? A generally accepted method for validating Power Distribution Networks (PDN’s) – bypass capacitors on Printed Circuit Boards (PCB) by sweeping for |Z| vs. f – have been established as a best practice. This is being discussed at conferences like DesignCon in Silicon Valley. The equipment used is generally either Network Analyzers or Spectrum Analyzers with Tracking Generators. This equipment is not designed for the purpose, not all well suited for it, cumbersome and/or difficult to use and too expensive for many companies to acquire for such a rare measurement. The desired outcome of this project is an open source hardware design addressing these issues. Improving cost, ease of use, frequency range, display capabilities etc. 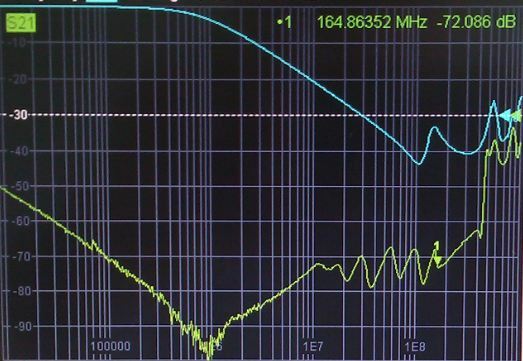 Generator from 100 Hz to 500 MHz, 0-10 dBm output, low harmonics – or clever ways to compensate through calibration and post processing of results. Power detector from 100 Hz to 500 MHz. High sensitivity and dynamic range: -120 dBm to 0 dBm. 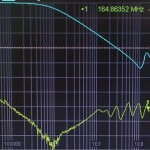 Band pass (100Hz-1kHz) filter and tracking function to generator frequency. Controller to interface generator and detector to PC via USB. Power supply etc. as needed. Software to perform fast logarithmic sweep, to display |Z| vs. log(f) in a spreadsheet. Nothing exists and the details of what and how is completely open to the student. Two students may share the project – the tasks can easily be divided as shown. If needed/desired, the project may be extended to compensate for cable drop and other effects, reported to reduce accuracy. Well executed, this could result in a paper submitted to the Power and RF Design category of the yearly DesignCon conference. Access to detailed knowledge of why this matters (it does! ), how this is usually done, and example test cases to use for verification. Sparing and design assistance. Access to lab facilities. A working environment with lots of actual design work going on (mostly digital).